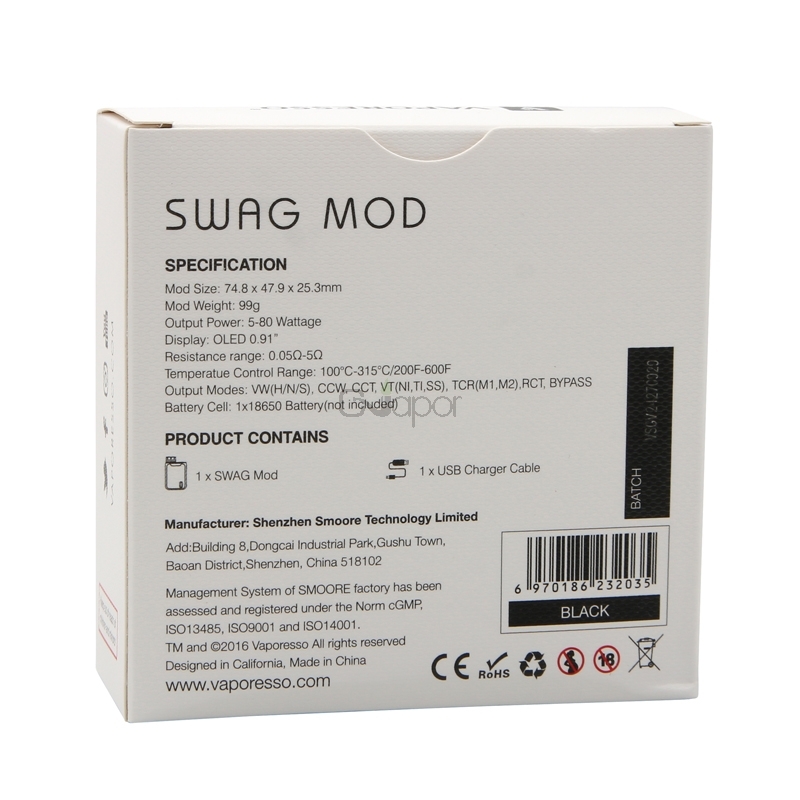 The Swag mod adopted IML technology. 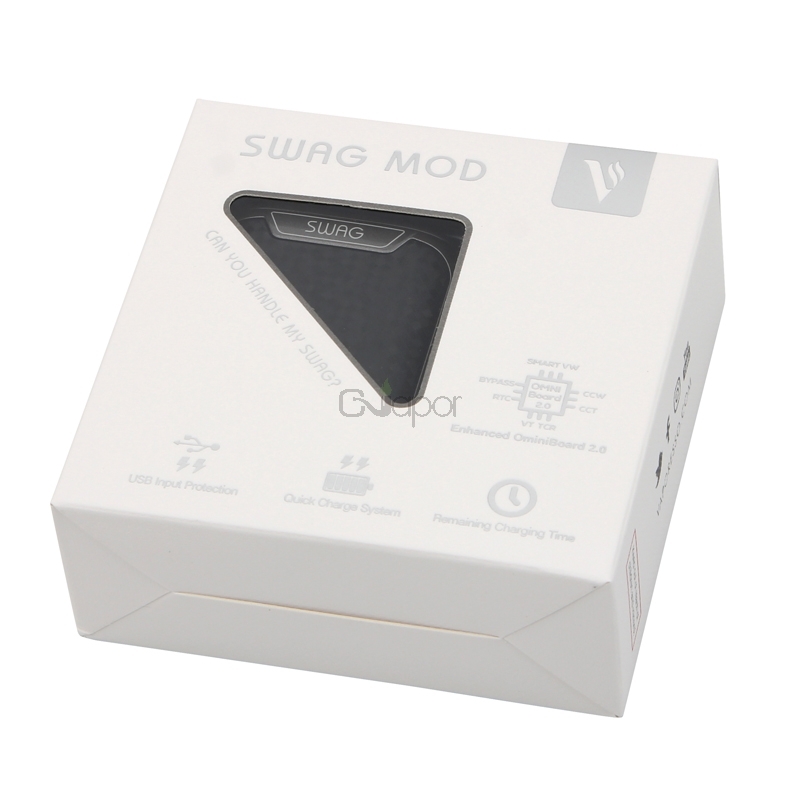 It is powered by a single 18650 battery, up to 80W, upgradable Omni 2.0 chip, features 2A fast charging, VT,TC,VW,Smart modes. 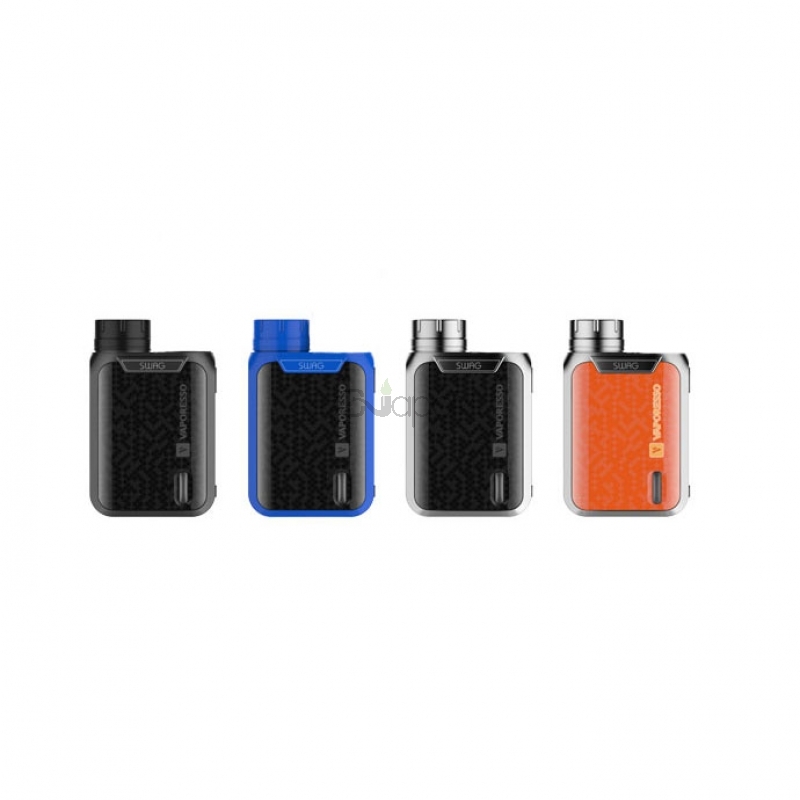 The top battery cap design is very conveniently twist and open to replace single 18650 battery.